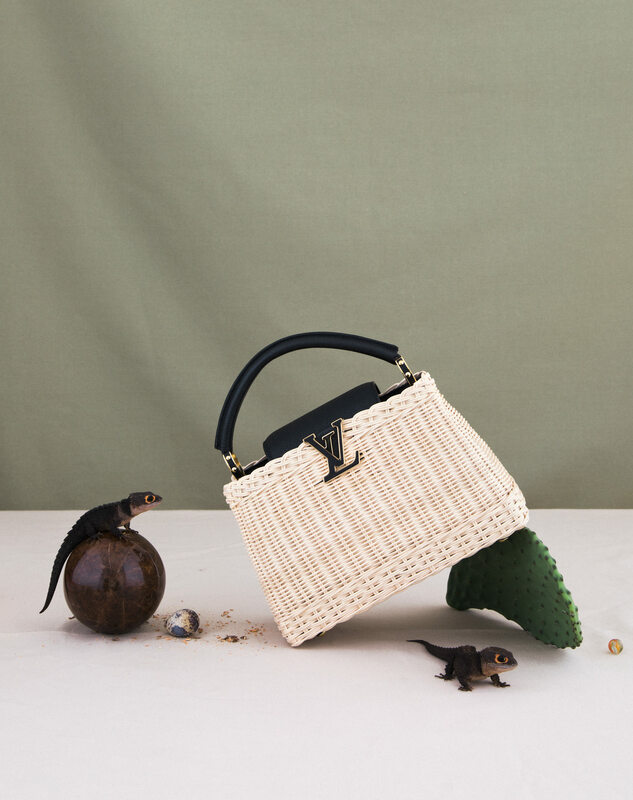 Louis Vuitton Capucines BB handbag; red-eyed crocodile skinks. 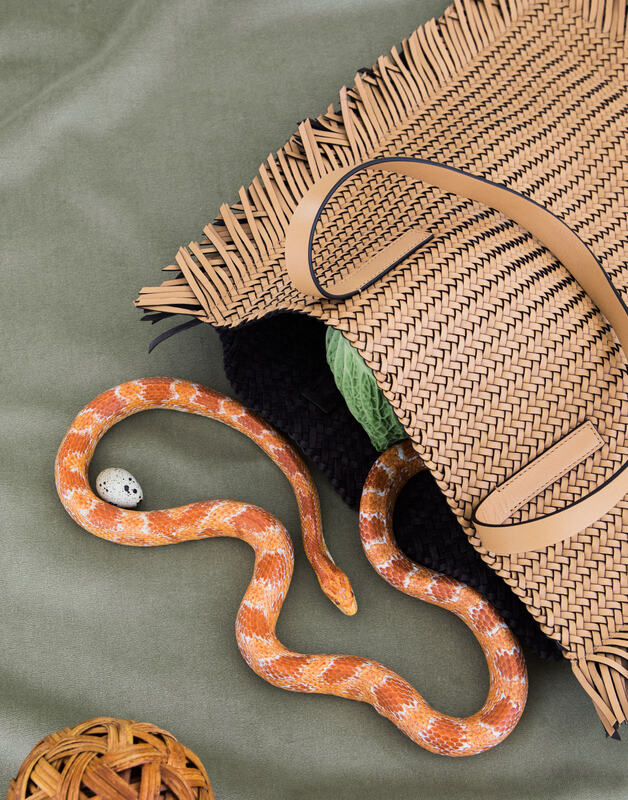 Michael Kors Collection handbag; corn snake. 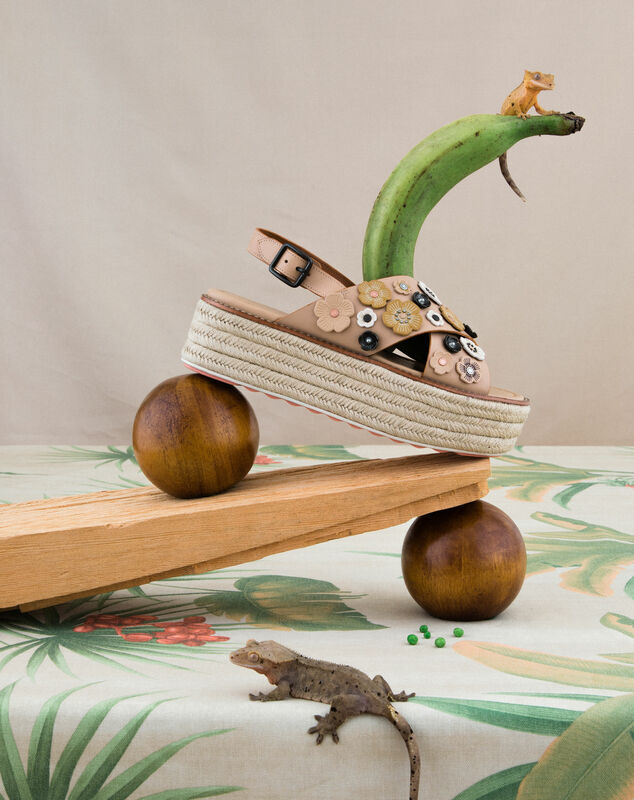 Coach Tea Rose Espadrille sandal; crested geckos. 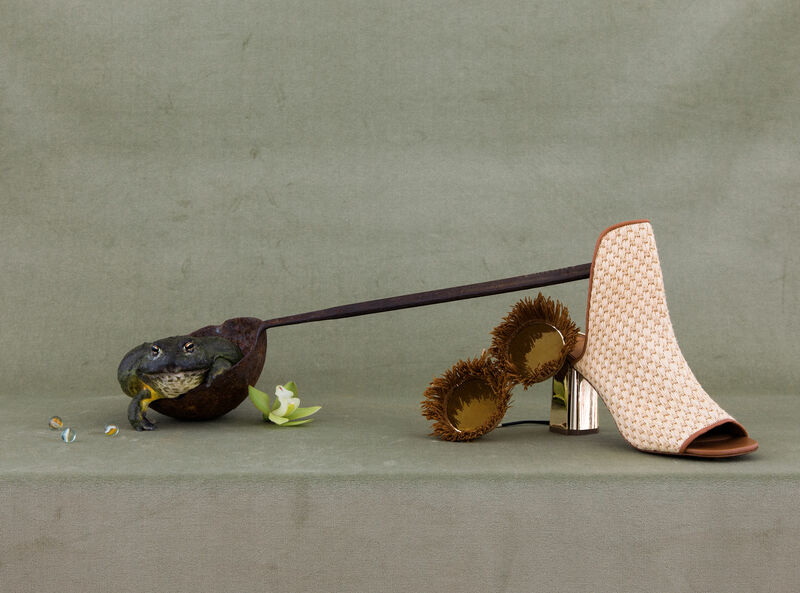 Dolce & Gabbana sunglasses; Robert Clergerie Zinap sandal; African bullfrog. 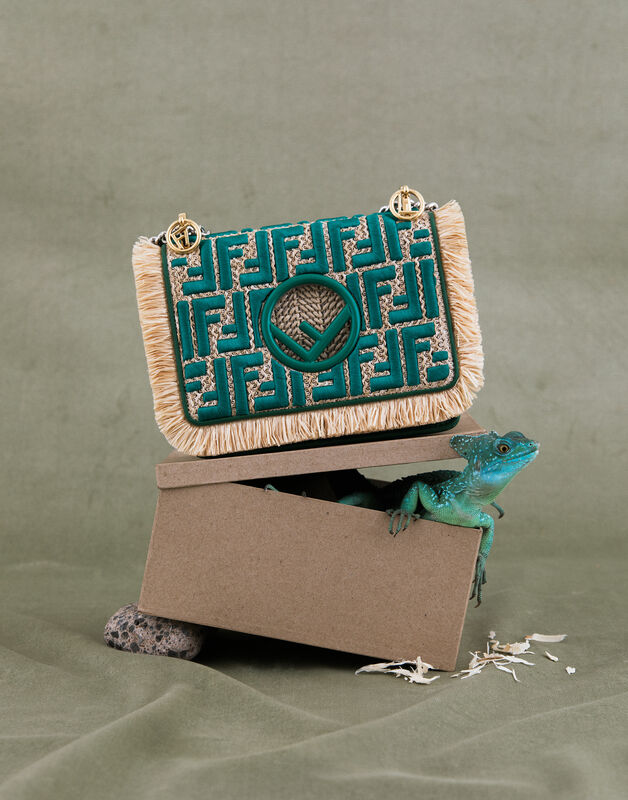 Fendi Kan I handbag; green basilisk. 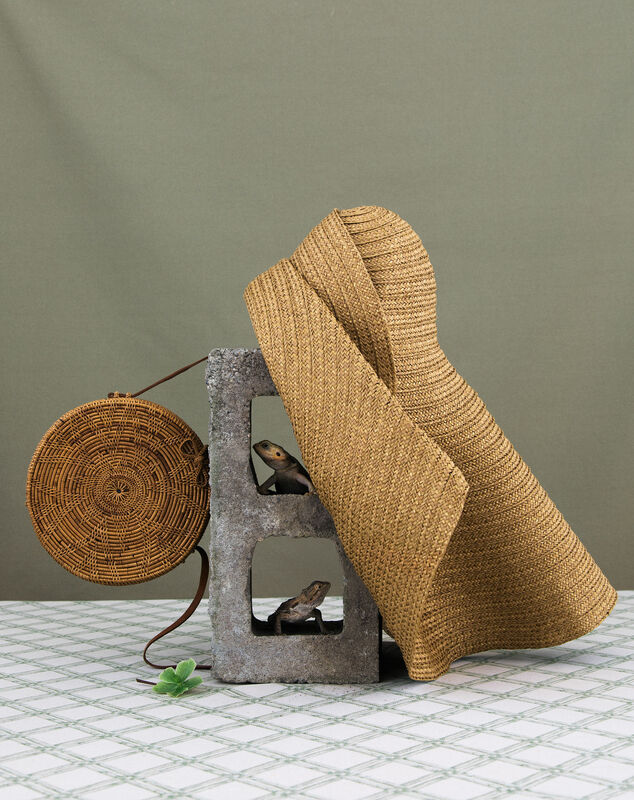 Brother Vellies Nusa Disc handbag; Missoni hat; bearded dragons.